Snood Classic is an interesting puzzle game. Your task is to shoot the snoods and clear all the snoods in the map. But you need to connect three or more snoods with the same color together to clear them. Snood Classic has many levels, each level is a challenge for you. 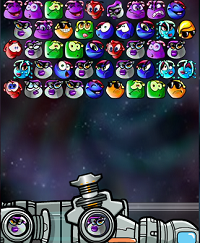 Try to complete each level in Snood Classic as fast as you can.